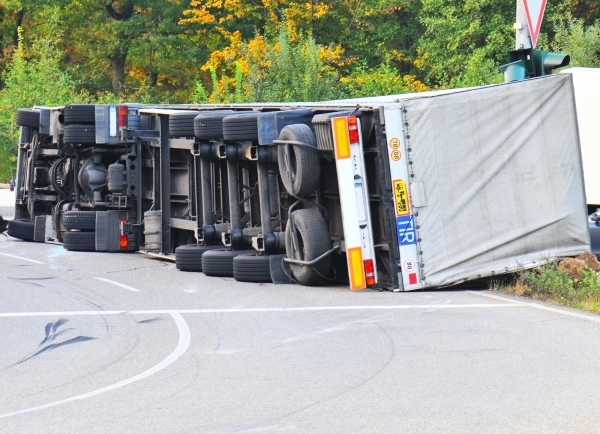 What To Do If The Trucking Company Ignores Or Avoids Your Phone Calls After A Truck Accident? Our law firm, Simpson Law Group, has decades of experience in tracking down trucking company and holding them liable for truck accidents. Home > In The News > What To Do If The Trucking Company Ignores Or Avoids Your Phone Calls After A Truck Accident? It is not uncommon for trucking companies to ignore the victim’s requests to compensate for their injuries and damages suffered as a result of a truck accident, which is why you need to know what you should do if you cannot reach the trucking company. We invited our San Diego truck accident attorney from the Simpson Law Group to answer this question. Even if you do know the phone number and other contact information of a trucking company whose truck driver caused an accident in San Diego or elsewhere in California, reaching out to that company may not be as easy as you think. Many victims of truck accidents have learned it the hard way. Trucking companies ignore and avoid your phone calls and emails. Or they answer your phone calls but disappear for weeks on end. They tell you that the person that handles truck accident claims is on a business trip or in the middle of a marathon. Yep, we have heard it all. Why does the trucking company ignore or avoid your phone calls? Why do they do that? Well, it is because they are trying to (a) escape liability altogether or (b) delay settling your personal injury claim to make your injuries worse, and make you more likely to accept their low-ball settlement offer out of despair. After all, you will have to pay for your medical bills one way or another, so at least something is better than nothing, right? Do not let trucking companies deceive and outsmart you. Do not let trucking companies and their crafty lawyers play hide-and-seek with you. If you encounter any resistance from the trucking company whose truck driver caused your injuries, or you cannot reach that company, do not hesitate to contact an experienced truck accident attorney in San Diego or elsewhere in California. Can the trucking company be held liable for a truck accident? But getting the trucking company to answer your phone calls or emails is only half the battle. Then comes the part when you should prove that the trucking company is actually liable for the accident. The vast majority of trucking companies in California will attempt to shift the blame onto the truck driver and mount the “independent contractor” defense to avoid having to pay for your medical expenses and other damages. How to prove that the truck driver is NOT an ‘independent contractor’? Whether the driver works under the control and direction of the employer. This is a non-exhaustive list of factors that are taken into consideration when determining whether a truck driver is an independent contractor or employee and whether the trucking company can be held liable for the accident. Let our experienced personal injury lawyers at the Simpson Law Group make this determination for you in a free consultation. Call our offices at 619-236-9696 or fill out this contact form.